- Led 8 sailors in transporting damage control materials & equipment in Store room 15 that are no longer in use and was given to other departments that can be utilized for other DC related matters saving them $3K in replacement parts. Commanding Officer's principal advisor. As the Senior enlisted leader, he provided counsel on personnel issues and crew morale; set the tone and enforced military standards for Navy and sister services; position normally filled by an E-8. - A superior CPO who leads from the front. A key player in the professional development of his Sailors. Achieved 100% divisional JQR qualifications, 100% CPOR quals, 97% retention and 85% advancement. - Competent Command Master Chief. As Acting CMC, he encouraged base-wide CPO involvement in CPO initiation ceremonies, revitalized the Sailor of the Quarter program, and increased retention by 25%. - DECKPLATE LEADER. Intrusive leadership yielded one Sailor of the Quarter, 100% eligible advanced, 100% passed both PRT cycles, 100% enrolled in USMAP, and 50% college enrollments. - Developed Sailors through positive counseling, coaching, and mentoring. Instilled a mission-first attitude; motivated entire unit to do the same. 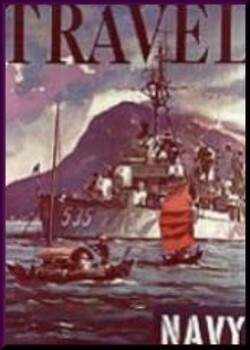 - Directed unit and active duty Navy personnel as team leader during UNITAS deployment greatly improving contingency knowledge; surpassed all expectations; hands-on leadership was the catalyst for the entire effort. - Directly and positively impacted the performance and careers of 75 personnel as the Mentorship Coordinator. Took over a failing program and revitalized it, increasing participation by 80% and retention by 25%. - Displayed a genuine concern for Sailors. Motivated his crew to perform to the best of their ability as individuals and as a unit. - EXPERIENCED LEADERSHIP. Management and supervisory skills command maximum performance and ensure combat readiness. Dynamic leadership of his Department throughout the ship's first Persian Gulf deployment, safely traversing 12,000 nautical miles, can be summed up in one word: Magnificent! - Expertly led the actions inside the Damage Control Center (DCC) during the COMNAVSURFPAC IMX. His efforts were praised by the Nuclear Inspection Team inspectors. - Expertly prepared his department for a Eastern Atlantic deployment. Ensured the NAV/OPS Department was always in excellent material condition and ready for sustained effective performance at sea. - Firmly supports the squadron. Single-handedly resurrected a demoralized First Class association and established a "can do" spirit. Initiated numerous successful fund raising projects. - Gifted leader. Directly responsible for turning around the production effectiveness of the airframes workcenter, resulting in grades of Outstanding on QA and COMATKWINGLANT audits. - He distinguished himself as a respected and effective leader by his in-depth knowledge of Navy programs and professional guidance of junior personnel. - USS Bainbridge has best retention rate in Fleet. Through his hardwork, perseverance, and diligent insight he has increased my ship's annual retention rate making it the best in the fleet. - Led 12 man team during an extremely demanding Scheduled Preservation Upkeep Coordinated Effort (SPRUCE). His supervision of over 1500 man hours of intensive work in the Auxiliary Machinery Room and engine room ensured success and set the standard for others to emulate. - DEDICATED MENTOR! As Command Mentor, she skillfully matched all sailors with competent mentors and facilitated the personal and professional development of the crew. - A brilliant manager who is committed to total quality. Through his guidance and technical expertise he was directly responsible for the line division receiving grades of outstanding on work center quarterly audits. -Her superb managerial skills pushed our clinic to win the TRICARE Regional Access Award for 2 consecutive years. -Implemented a workcenter physical training program which increased their PRT average by 30% while deployed. -Unparalleled enthusiasm; possesses an out-in-front leadership style and the attributes of today's model CPO and leader. -Proven management skills set him apart from peers; transformed workcenter from sub-standard to compliant or better. Promote ASAP! -Provided constant training for subordinate personnel assigned to the program management unit. This greatly increased supply support and strengthened lines of communication between tenant commands and the supply department. -A respected leader, sets and expects stringent, yet achievable, performance standards for subordinates. -Enrolled every seaman in his workcenter in the CLEP Program to earn college credit. -Implemented a maintenance program that increased the Construction Battalion Unit's overall operational readiness rate from 50% to over 90% in only 6 months. 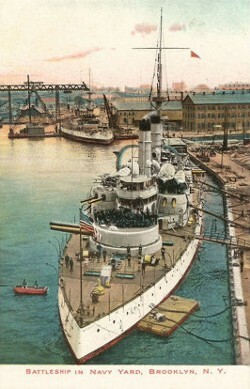 -United a team of active duty and reserve seamen into one cohesive and productive organization. -Superb Leader. Selected over more Senior Petty Officers to supervise two Avionic workcenters, he quickly established himself as an outstanding manager and administrator. 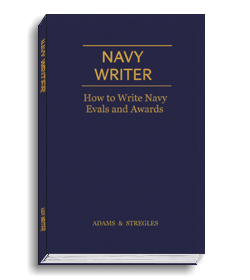 The best book on Navy Evals available today!